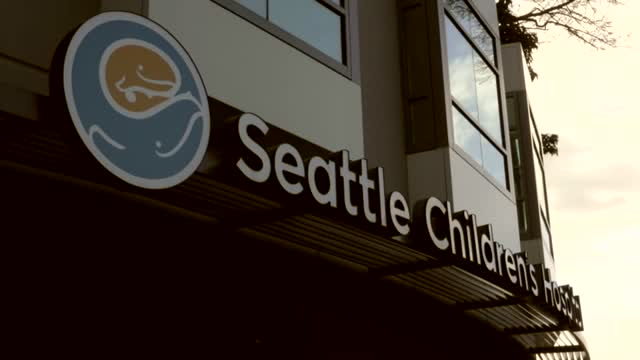 Wes Wright, CIO of Seattle Children's, describes how ExtraHop helped to find the "ghost in the machine" that was slowing down their Citrix VDI deployment. ExtraHop provides real-time ICA analysis as well as correlated visibility for the rest of the Citrix environment. Also speaking is Tim Holt, Senior Director of Enterprise Architecture. Groundbreaking new research from Enterprise Management Associates (EMA) shows that encryption is rolling out quickly, with 76% of respondents encrypting within the enterprise network, 71% within the data center, and 58% encrypting email, followed by 55% encrypting web services. According to the survey of IT respondents responsible for security, companies are adopting wildly divergent strategies on what, where, and how much to encrypt, how to decrypt, and which standards to use. It’s not a simple topic, especially when you add in factors including cloud, TLS 1.3, and regulations. The choices made in implementation can restrict incident response, business risk management, and application security. Poor decisions can be expensive and difficult to fix. With data breach reporting requirements tightening, there even greater pressure on incident response teams to understand the scope and impact of an incident. This webinar will discuss the role that network traffic analysis can play in speeding up incident response. You will learn how network traffic analysis can provide the context needed to empower your analysts to quickly investigate incidents and get definitive answers. Does your security investigation and incident response workflow "spark joy," or does it just leave you with more questions that are tough to answer? How do you improve your current data collection, tools, and workflows? In this session, ExtraHop’s VP of Cyber Security Engineering, Matt Cauthorn, will provide practical advice for how to identify areas for improvement in your incident response practice. Learn how Network Traffic Analysis can provide the visibility and data access needed to take investigations from many hours to just a few clicks. Jeff Costlow, ExtraHop Networks; Lisa O'Connor, Accenture Labs; and Malek Ben Salem, Accenture. Things used to be simple. The Networking team focused on network performance and availability while Security teams dealt with threats to performance. Today, the growth of cloud, virtualization, and everything-as-a-service has changed all this, blurring the lines between NetOps and SecOps and creating a need for better alignment and sharing of data. In the past, the IT security department focused most of its efforts on building and managing a secure "perimeter" and spent most of its time managing passwords and access control lists. Today, however, the security operations center (SOC) has become a place for not only building a strong defense against the latest attacks, but for analyzing and responding to new attacks that have evaded traditional defenses. Hear war stories and recommendations in SOC operations –including how to prepare. While some innovations deliver material benefit, many aren’t worth your POC time. In this webinar, featured speaker Chris Kissel, Research Director, Security Products and head of the IDC security analytics and orchestration practice, will present new research on what will disrupt, what will innovate, and what will merely evolve in the security analytics market over the next several years. Futurescape trends provide insights on the best ideas enhancing incident detection and response and provide a look at the ideal use cases for the most beneficial new technologies. The shortage of skilled security professionals won’t end anytime soon, but you can improve your incident response (IR) capabilities now by taking advantage of your network traffic for early detection and more investigation. In this webinar, EMA Managing research Director David Monahan will join ExtraHop CIO John Matthews to explain how you can make your staff more productive by automatically prioritizing your most critical assets, providing context to alerts, and putting full transaction details at the fingertips of analysts during investigations. Splunk is an excellent platform for analyzing machine data and orchestrating responses. ExtraHop extracts wire data events and metrics from network communications, and can send this information to Splunk for added accuracy and context. This webinar explains why ExtraHop and Splunk make such a great fit, and how you can use the ExtraHop App for Splunk to stream wire data such as details for DNS, database, storage, and more. IT and Security teams are figuring out how to ensure the same level of security for their applications and data in the cloud as they have in traditional on-premises environments. While public cloud vendors offer some capabilities, there are several gaps that organizations need to fill when it comes to cloud-hosted workloads. In this webinar, you will learn about what cloud providers can help you with, what gaps you need to fill, and the role that network traffic analysis can play in securing your cloud environments. This SANS Institute review evaluates the ExtraHop Reveal(x) product and its ability to support detection, investigation and response for these late-stage attack activities. Reviewer Dave Shackleford puts ExtraHop Reveal(x) through its paces using a use case of an outside attacker who has compromised an internal system. The attacker is scanning the network, trying to gain access to a file share through brute force, pulling down data and exfiltrating that data. How does Reveal(x) perform in this scenario? Discover the latest trends in cyber crime, your organization's vulnerabilities, and how to go about preventing, detecting and responding to a breach. The network doesnt lie. Thats one reason companies are increasingly turning to their network to simplify and speed up common SOC workflows. Network Traffic Analytics (NTA) specifically addresses key SOC challenges identified in the recent SANS SOC survey: Asset discovery and inventory, event correlation, and SOC/NOC integration. The NTA category is relatively new and focuses on facilitating detection and response of post-compromise activity, including command and control, reconnaissance, lateral movement, and exfiltration. Organizations primarily use NTA to gain visibility into East-West traffic within the environment, though it can also heighten visibility of North-South traffic traversing the perimeter. NTA tools complement log data and endpoint instrumentation with an objective view of threat behavior on the network, and dramatically reduce the time to detect and respond to threats. While SOCs are maturing, staffing and retention issues continue to plague critical SOC support functions. In this webcast, learn how respondents to our 2018 SOC survey are staffing their SOCs, the value of cloud-based services to augment staff and technology, and respondents' level of satisfaction with the architectures they've deployed. Automating and streamlining security investigations.